Bitcoin has been undercover within the tech community for a few years now, but over the past few months, Bitcoin has exploded into the mainstream and is being reported on almost everyday. But is this cryptocurrency just the latest fad or is it a serious currency of the future? 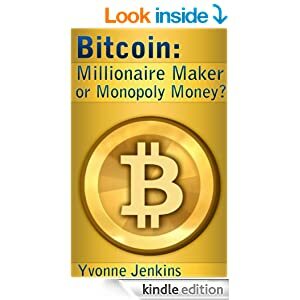 Bitcoin is a digital currency, meaning it’s money controlled and stored entirely by computers spread across the internet, and this money is finding its way to more and more people and businesses around the world. But it’s much more than that and many people want to understand what its all about. Bitcoin isn’t just a currency, like pounds, dollars,euros or yen. It’s a way of making payments, like PayPal or the Visa credit card network. It lets you hold money but it also lets you spend it and trade it. You can also move it from place to place, almost as cheaply and easily as sending an email. Bitcoin facilitates all of this without revealing your identity. In fact, Bitcoin is a re-imagining of international finance, something that breaks down barriers between countries and frees currency from the control of federal governments. Bitcoin (BTC) is a revolutionary digital currency, also considered a peer to peer electronic cash system. Bitcoin is controlled by open source software that operates according to the laws of mathematics. there are people around the world who collectively oversee this software. The software runs on thousands of machines across the globe. It can be changed only if a concensus of those overseeing the software agree to the change. addresses and balances, stored in an online ledger called the “blockchain.” The Bitcoin system was also designed so that the currency would slowly expand and so that people would be encouraged to operate as a bitcoin miner and therefore keep the system growing. When the system creates new bitcoins it gives them to the miners. Miners keep track of all the bitcoin transactions and add them to the blockchain ledger. In exchange,they get the privilege of awarding themselves a few extra bitcoins periodically. Why do these bitcoins have value? Since 2008, Bitcoin has evolved into something that a lot of people want to exchange or to buy or pay for things with and the supply is limited. Though the current system continues to produce bitcoins, this will stop when it reaches 21 million - in approximately the year 2140. The idea was to create a currency whose value couldn’t be diminished by some central authority. When the Bitcoin system stops making new money, the value of each bitcoin will rise as demand rises, this what is know as a deflationary currency. Although the supply of coins will eventually stop expanding, it will be still be relatively easy to spend. Bitcoins can be broken into tiny pieces. Each bitcoin can be divided into one hundred million units, called Satoshis, after the currency’s creator. How do you spend or trade bitcoins? this: 1DTAXPKS1Sz7a5hL2Skp8bykwGaEL5JyrZ. If someone wants to send you bitcoins, they need your address. If you want to send your bitcoins to someone else, you need your address and their address — but you also need your private cryptography key. This is an even more complicated string that you use to authorize a payment. Using the math associated with these keys and addresses, the system’s public network of peer-to-peer computers ( the bitcoin miners) check every transaction that happens on the network. If the math doesn’t add up, the transaction is rejected. The system so far has shown to be very secure. For the ordinary people who use the Bitcoin network to buy,sell and transfer, managing addresses and keys can be a bit of a hassle. So many different types of programs, called wallets have been designed, that keep track of all these numbers for you. You can install a wallet on your computer or your mobile phone, or use one that sits on a website. With a wallet in place, you can then easily send and receive bitcoins via the net. You can do all sorts of transactions from sending money to a relative abroad, buying goods or making a charitable donation. like Bitstamp, but to trade on these exchanges, you need to first send them cash. Alternatively you can attend a regular Bitcoin meetup in your part the world. Because credit card and bank transactions are reversible and bitcoin transactions are not, you need to be very careful if you’re ever selling bitcoins to an individual. The traditional way of getting new bitcoins was to become a miner. That means turning your computer into a bitcoin miner, one of those nodes on Bitcoin’s peer-to-peer network. Your machine would run the open source Bitcoin software. However; as the price of bitcoins has shot up, the mining game has become a commercial venture in itself, with professional players, custom-designed hardware, and rapidly expanding processing power. It is no longer viable for the average person to mine Bitcoin. You would need to perform about 150 times as many mathematical operations as the world’s most powerful supercomputer! The question for investors now is should you buy the crypto currency or avoid it? Unlike traditional money, bitcoin exists only online. To create, or "mine," the currency, computers guess solutions to complex math problems and send them to other computers on the bitcoin network. As time goes by and more coins are mined, it becomes more difficult to create bitcoins. To date,about 12 million bitcoins have been found, with about 9 million are yet to be discovered. Once the figure reaches 21 million their mining will stop. Bitcoins can be traded on currency exchanges or used as money to purchase goods and services from merchants that accept them. Its limited supply has made bitcoin attractive to people worried about inflation and its anonymous nature makes it a favorite among those wanting to make anonymous transactions. If Bitcoin can secure a small portion of the huge remittance market then its price will rise much further, but theres also a chance that it will go out of favour and become worthless. Like any speculative investment, if a disruptive technology breaks through to the mainstream the price of its stock can rocket, but if it flounders its stock price can plummet. Conservative investors should certainly steer clear of Bitcoin, but for the more daring a handful of bitcoins could one day make you very rich!